Victor Crowley, the slasher at the center of the Hatchet franchise, is powered by a voodoo curse that was placed on him before he was even born. When Hatchet II ended with Crowley's head getting destroyed, I figured the way to bring the killer back for another sequel would be to have him be resurrected by a voodoo practitioner. As it turned out, that wasn't necessary, because Crowley is a "repeater", cursed to return to his stalking grounds of Honey Island Swamp night after night, regardless of what sort of damage is done to him. Even if Crowley is cut to pieces, he'll be back in the swamp the next night as if nothing ever happened. But in Hatchet III, characters finally found a way to defeat him for good, and since then there has been peace in Honey Island Swamp for ten years. Franchise creator Adam Green was done with Hatchet as a trilogy, but in the horror genre that doesn't necessarily mean much. There's always room for another sequel, and Hatchet fans were clamoring for one. Green was hesitant to bring back Victor Crowley, though - until an October 2015 conversation with George A. Romero, during which Romero encouraged him to give the fans "another Crowley picture". Rejuvenated by Romero's support, Green immediately began writing the script for a new Hatchet film... and then he pulled off an incredible feat. He made this new sequel in secret. In the eleven months between the first day of filming and the surprise premiere, there were no leaks to indicate its existence. 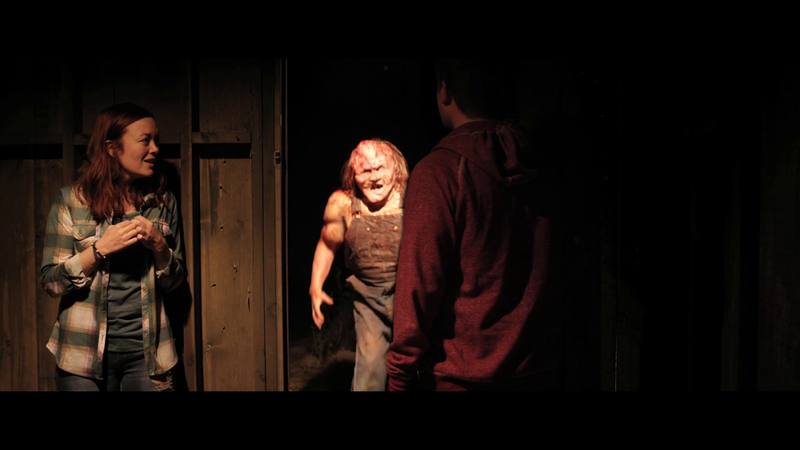 An audience went to the theatre thinking they were going to be seeing a 10th anniversary screening of the first Hatchet film and just before the movie started Green announced that what they were actually going to see was a new movie titled Victor Crowley. So how can Victor Crowley possibly come back after all this time? The answer is voodoo. It wasn't necessary for Hatchet III, but it is now. But before the film gets to bringing Crowley back in 2017, it begins in April 1963 so it can give us a couple opening kills - possibly the first kills Crowley ever committed. Comedic actors Jonah Ray and Kelly Vrooman cameo for a gross, funny scene that includes a tasteless Patsy Cline airplane crash joke that will actually play into the story that follows, because an airplane crash is an important part of the film. That airplane crashes in 2017, directly into Honey Island Swamp, killing a few people on board (including Adam Green himself and Wrong Turn 2/Everly director Joe Lynch as the pilot and co-pilot). The survivors are Andrew Yong (Parry Shen), who survived the events of Hatchet III and has been promoting the book he wrote about the experience; talk show host/Andrew's ex-wife Sabrina (Krystal Joy Brown); Andrew's worthless, pill-popping publicist Kathleen (Sleepaway Camp's Felissa Rose); and a couple members of the crew for a Sabrina-hosted TV special that was going to feature Andrew's story and be shot in Honey Island Swamp - Casey (scream queen Tiffany Shepis) and Austin (Brian Quinn of TV's Impractical Jokers and the podcast Tell 'Em Steve Dave). As if being in a plane crash wasn't bad enough, the passengers soon realize that Victor Crowley has been resurrected at the same time their crash was occurring. The swamp has become a tourist destination over its years of peace, and current visitors include a trio of amateur filmmakers - Katie Booth as Chloe, Chase Williamson as Alex, Laura Ortiz as Rose - who have met up with tour guide / aspiring actor Dillon (Dave Sheridan) to shoot a mock trailer for the movie Chloe wants to make about the Victor Crowley legend. That's a nod to how Green got the first Hatchet made by putting together a mock trailer. Unfortunately, while in the swamp this group decided to look at a YouTube video in which the Crowley voodoo curse is recited by multiple people. And that's all it took to mistakenly bring Crowley back from his ten year rest. Crowley gets right back to work, hacking and slashing his way through this bunch of characters, adding several more gory kills to his body count, including at least one very memorable one. Mixed in with the bloodshed are plenty of laughs, as Victor Crowley competes with the first Hatchet to be the silliest movie in the series. Green has said that, ironically, the budget has gone down with each Hatchet movie that has been made, and Victor Crowley does look like it was the lowest budgeted one yet (I don't know for sure that it was), especially with so much of the movie taking place in and around a small airplane set. However much money was spent on the film, it didn't have an effect on my enjoyment - this film delivered exactly what I was looking for when I put it on, approximately 80 minutes of jokes and kills. 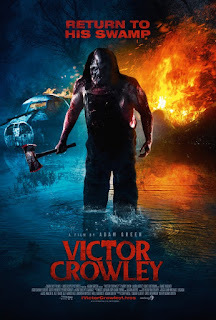 This satisfied my desire to see Victor Crowley destroy more victims, and I'm sure other fans who have been wanting to see the Hatchet franchise continue will be satisfied as well. Now that Crowley is back, I don't see any way to stop him again. The method used in Hatchet III was a one and done sort of deal, and you know the ending of Victor Crowley isn't going to put him down for long. So keep the sequels coming. The Shrinking Man author Richard Matheson had an idea for a sequel to the 1957 adaptation of his novel, The Incredible Shrinking Man. Titled Fantastic Little Girl or The Fantastic Shrinking Girl, Matheson's idea was to give a happy ending to the story of the shrinking man by having the man's wife shrink down as well, locate the microscopically small fellow, and then grow back to normal size with him. Matheson's sequel never made it into production, but twenty-four years after the release of The Incredible Shrinking Man his novel The Shrinking Man also served as the inspiration for a film about a shrinking woman. 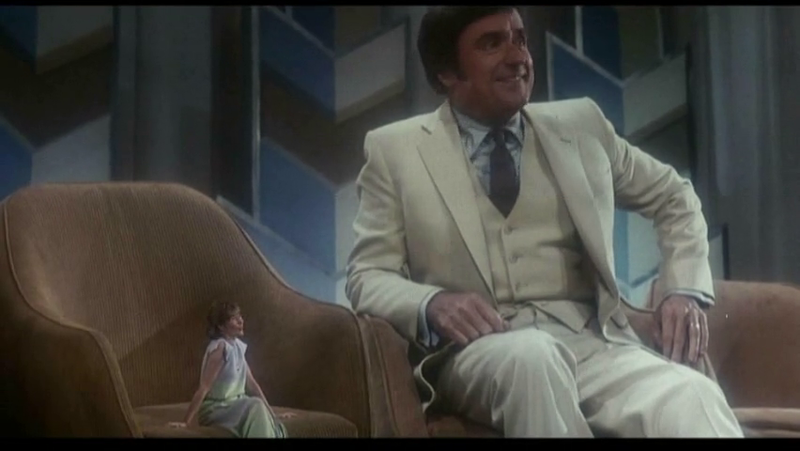 Written by Jane Wagner, The Incredible Shrinking Woman takes Matheson's serious idea and builds a broad comedy around the concept. When The Incredible Shrinking Woman started filming, Animal House/The Blues Brothers/An American Werewolf in London director John Landis was at the helm, but then the project was shut down due to budgetary issues. When filming resumed, it had become the feature directorial debut of Joel Schumacher, who would go on to have quite a successful career - and to sabotage himself with a poorly received Batman movie. Lily Tomlin stars as Pat Kramer (and also plays her neighbor/friend Judith), who has a lot to deal with from the moment we meet her, trying to keep her house in order and her children in line. Unfortunately, her daily duties cause her to be exposed to all sorts of chemicals, as do the things like perfumes and detergents that her husband brings home from his job as an ad exec. All of these things in Pat's system work together to make her start shrinking. As she gets smaller, she gets nationwide media attention, even appearing on The Mike Douglas Show (a talk show which ran for two decades, but went off the air the same year this movie was released), and fields business offers. But she also loses control of her children. Eventually even cooking bacon takes too much effort. Pat's gradually diminishing height isn't as disturbing as the shrinking man's was, even though she and her family are troubled by what's going on. This is a really goofy movie, and even most of its serious moments have a comedic edge to them. I didn't find its humor to be especially funny, but it's mildly amusing. By the end of the film, The Incredible Shrinking Woman has gone completely over-the-top, with villains putting together a "world shrink plan" and Pat gaining a sidekick in the form of a gorilla called Sydney, played by legendary special effects artist Rick Baker in a costume. 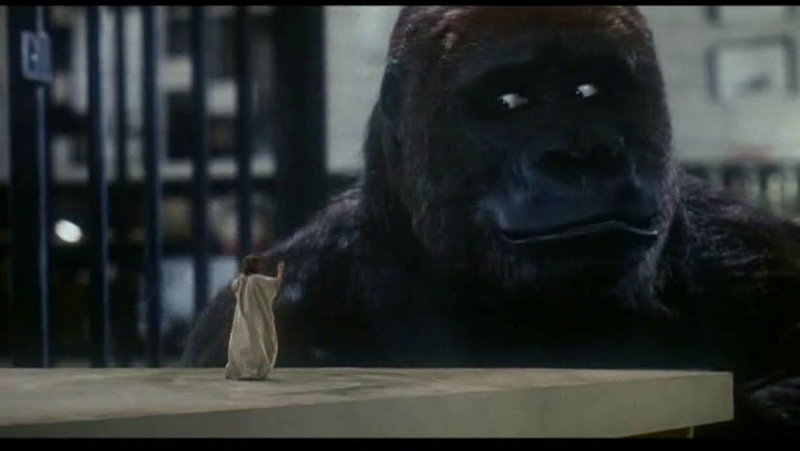 That ape business definitely seems like a hold-over from the Landis days. As far as I recall, this was the first time I had ever watched Shrinking Woman, and I don't feel like I've been missing much by not seeing it until now. It's a decent and somewhat charming movie, but overall it just really wasn't for me. I'm glad I did see it once, but I won't be in a hurry to watch it a second time. If I want to watch someone incredible shrink, it's going to be that guy from the '50s. 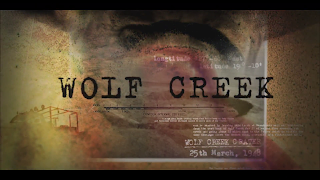 In May of 2016, the Australian streaming service Stan released the six episode first season of the series Wolf Creek, which continues the story of serial killer Mick Taylor (John Jarratt) from the feature films Wolf Creek and Wolf Creek 2. That first season was an enthralling tale of revenge that followed a teenage girl as she sought to bring Mick's killing spree to an end once and for all. 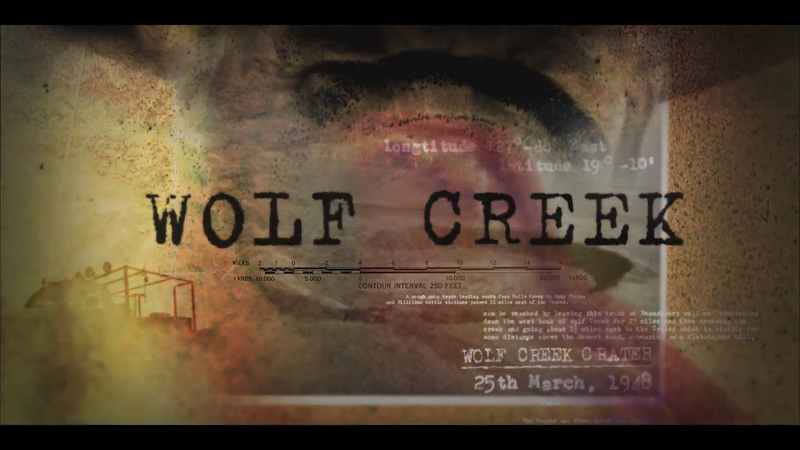 The six episode second season of Wolf Creek hit Stan in December of 2017, and from the basic description it sounded quite promising - it follows Mick as he stalks and kills a busload of tourists that he has stranded in the middle of the Outback, three hundred miles from the nearest town. I thought for sure a story of Mick taking out a bus driver and a dozen tourists from around the world would be interesting and would fill up six hours easily. Apparently I was wrong, because Wolf Creek season 2 only has enough going on to fill a two hour feature, but that amount of substance was stretched to the breaking point and padded out so it could reach six hours. This season does not lend itself to binge watching, because if you sit through these episodes back-to-back you'll find yourself staring at hours of nothingness. Mick drives around in the desert, characters slowly make their way through various locations, and it all starts to get excruciatingly dull. It also gets deeply frustrating, as Mick proves to be overly capable again and again while his intended victims are completely incompetent. There are several times over the course of the episodes when characters should have been able to inflict harm on Mick, but proceed to whizz the opportunities down their legs in spectacular fashion. That gets old really quick. Oddly, the most effective method of attacking Mick turns out to be an aboriginal spell of some sort, a moment that brings a touch of the supernatural into the Wolf Creek world. Season 2 isn't all bad. There are some good ideas in there and some cool moments, the best being when Mick causes the bus to explode with some characters still on board and others within flame distance, this just should have been a movie instead of a six hour TV season. Insidious. Insidious: Chapter 2. Insidious: Chapter 3. Insidious: The Last Key. Soon horror fans are going to have the four movies in this franchise on a shelf together, and I'm sure the fact that this fourth film ditched its "Chapter" title is going to drive some fans nuts. I foresee people making their own custom "Insidous: Chapter 4" case art just to make things look better in their collection. 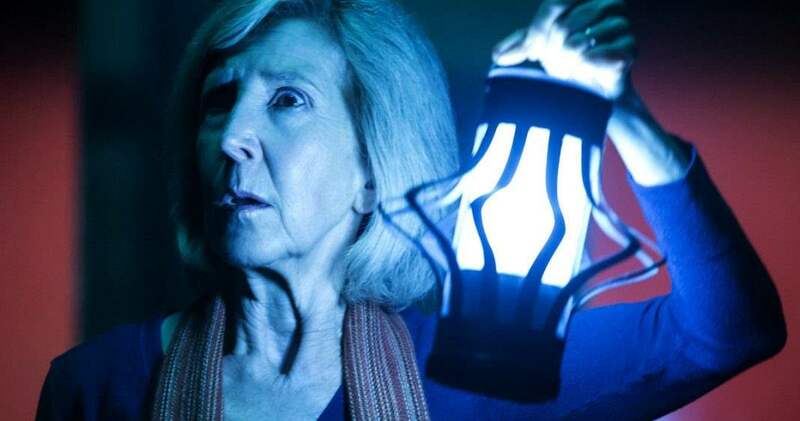 Different title aside, Insidious: The Last Key is a decent entry in the Insidious series, and one that brings the story full circle in a way. Like the Fast & Furious movies, this franchise decided to play around with the timeline, following Insidous and its direct sequel Chapter 2 with a prequel, Chapter 3. Now The Last Key slots in between Chapter 3 and the first movie, but like the ending of the sixth Fast & Furious finally caught up with the events of the third Fast & Furious, The Last Key catches up with the events of the first Insidious... which is now going to be kind of odd to watch in the middle of the series, since it takes a long time for Lin Shaye's character Elise Rainier, the character who has been carrying the franchise on her shoulders for a couple films now, to actually show up in it. 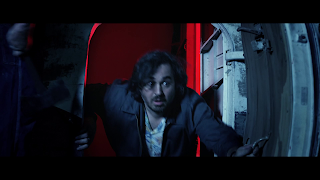 Chapter 3 was an "origin story" of sorts for the psychic paranormal investigator Elise, showing how she came to team up with her sidekicks Specs (Leigh Whannell) and Tucker (Angus Sampson). 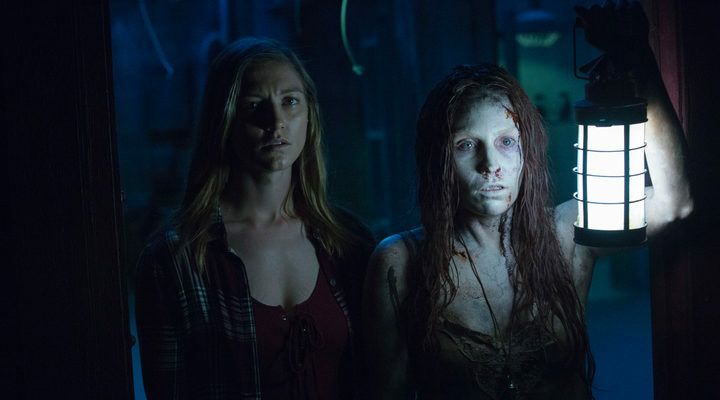 Directed by Adam Robitel from a screenplay by Whannell, who has written all of the movies in the series, The Last Key digs even deeper into Elise's history, taking us all the way back to when she was dealing with her "I see dead people" abilities as a child... and we see the impact her abilities had on her family. The terror her younger brother Christian would experience whenever Elise talked about the ghosts she saw. The violent anger that would well up in her father (Josh Stewart), who warned her again and again to keep these things to herself. The murder of her mother at the hands of a demon Elise was tricked into setting loose into our world. 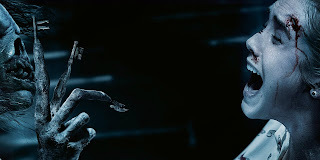 There's a different supernatural threat in each Insidious film, and the demon in this one is a very interesting entity. Played by frequent creature performer Javier Botet, this demon is called Keyface, which doesn't make much sense because it actually had keys on the ends of its fingers, not on its face. When directly attacking a victim, Keyface can slit a small hole in their throat, insert a key, twist it, and make the victim mute. Like it has locked their vocal cords. It can do the same thing to a person's chest, locking their heart... And that's not the only thing Keyface can do to the people that live in the house it inhabits - the house that was once the Rainier household. A house that sits on the property of a large prison, although the prison itself has little to no relevance to the story beyond the fact that Elise's father was a guard there. The abusiveness of her father caused Elise to run away from home when she was sixteen. Decades later, in 2010, long after her father has died and her brother has moved out, she is called back to that house to investigate some paranormal activity. By returning there, Elise has not only put herself, Specs, and Tucker on a collision course with Keyface, which she first encountered in 1953, but she's also forcing herself to come to terms with her past. Insidious: The Last Key really shines when Elise and her cohorts are investigating the demonic happenings in the house and unearthing some very dark secrets. The flashbacks to Elise's youth are also interesting. The movie does come up a bit short, though, with the way it handles Elise's interactions with the family members she crosses paths with while in her hometown of Five Keys, New Mexico. She finds that her brother (played in the 2010 scenes by Willard's Bruce Davison) is very bitter about her abandoning him when she was sixteen, scaring him to death throughout their childhood with her abilities and then leaving him trapped with a true monster, their father. There could have been some great scenes with Elise and Christian, but the film only really gives them a couple quick scenes together. It's like this aspect of the story was cut down to the bare minimum - and that's how the film feels as a whole. It feels like it was hacked down to only the moments it needed to move forward from point to point, with no time to breathe and no time to reach for any true depth. This set-up could have been a lot more effective, but it's told in broad strokes. Also involved in the story are Elise's nieces Melissa and Imogen (Spencer Locke and Caitlin Gerard), one of whom shares Elise's abilities and is able to venture into the spirit world of The Further with Elise for the climactic confrontation with Keyface. I assume they're planning to bring Imogen and her abilities back for a future sequel, because she accomplishes next to nothing by stepping into The Further here. It's like this movie is just setting her up so the franchise can put her to better use somewhere down the line. That final confrontation with Keyface is also a disappointment. After the demon has been built up so well, the film whiffs how it handles the ending, bringing us a scene that is slightly emotional but could have been a lot more touching if the movie had time for that. Despite having an interesting story, The Last Key feels a bit like it's just lazily going through the motions. It could have been a lot better, it had all the elements in place to be a lot better, but it chose to settle for just "good enough".